What is that? Do I need it? Google AMP what? These questions and many more are swirling in the minds of many these days who are hearing the terms thrown around, but are not up to date on Google's news. AMP stands for Accelerated Mobile Pages, and has to do with how fast or slow your mobile device loads the pages you are trying to visit. And yes, you need it. Here's what you need to know. 40% of users abandon a site if it takes longer than 3 seconds to load, according to data reported by Kissmetrics. Creating a way for posts to load instantly means potentially more pageviews and more pageviews per session and more in post ad impressions for marketers. The content is stripped of all the fancy bells and whistles (forms and pops ups, etc.). It takes out all of the things that make pages load slower in the mobile view and the content ends up looking like a glorified RSS feed. The sidebar ads and pop ups are gone making it a easier for the user to get the content but harder to monetize. The content is cached on Google's caches so that it can produce it in an instant. It is not clear how often it will update, or how to let Google know you've updated the content. What are the Benefits to using AMP? Google is pushing this quite hard, so similar to the mobile friendly update they implemented last year, this is not a question of if, but when you should install the AMP on your website, especially if you are a blogger or news outlet. The main benefit in complying is that Google is already showing AMP sites at the top of search results on mobile devices, so you won't get any of that mobile search traffic if you don't have AMP on your site. Apparently Google believes that the faster they can produce content for consumers, the more content consumers will consume and the better the world will be. There is talk of Twitter, LinkedIn and Pinterest also doing similar things for mobile, and Facebook has announced it's release of the Facebook Instant Articles version on April 12th. It does serve your content to mobile readers faster, hopefully meaning you will retain more readers. Speed trumps all. Should I install Google AMP on my site? I have some concerns about Google AMP (read about those here), but the short answer is yes. If you have a blog or news site, do it. As more and more people use the internet on their mobile devices, performing more and more searches, your compatibility with Google's favored formats will be huge in your ability to rank higher on mobile searches. However, I don't think landing pages, sales pages, and other pages should be, and currently won't be, AMP optimized (read stripped) at least not unless you re-code your site to specifically do that. The image below shows what this post would look like in Google AMP. To install AMP on your WordPress site, follow the instructions in this article, How to Set up WordPress for AMP by Yoast, or this one, AMP set up basic tutorial by AMP Project. 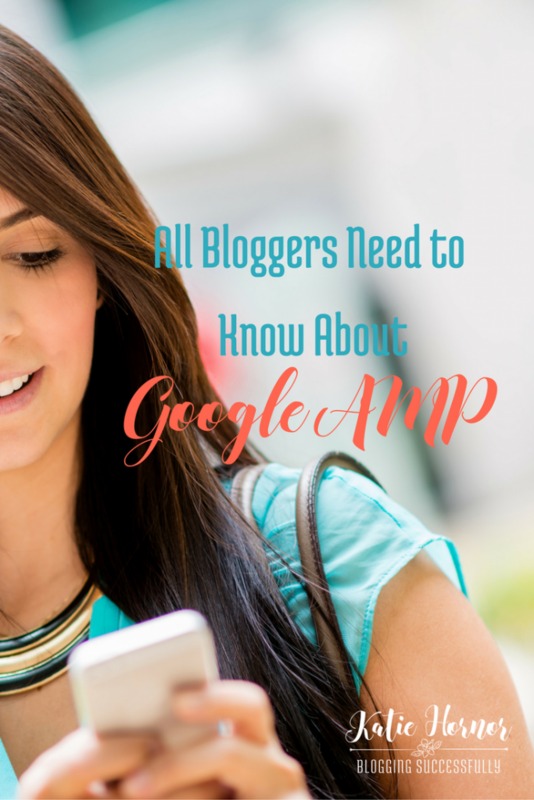 Do you already have Google AMP on your site? How is it going? I'd love to hear your experience with it thus far.